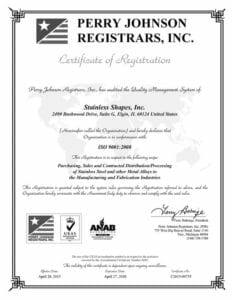 About Us | Stainless Shapes, Inc.
Our mission is to supply raw materials and honest service at competitive prices. Offering stainless and alloys from the world’s highest quality mills. Nationwide coverage is available from stocking and storage facilities located throughout the United States. We are always searching the world and domestically for quality mills and suppliers. Contact our knowledgeable and highly motivated sales team. By creating new partnerships, we can help our customers and vendors excel. How can Stainless Shapes help you today?